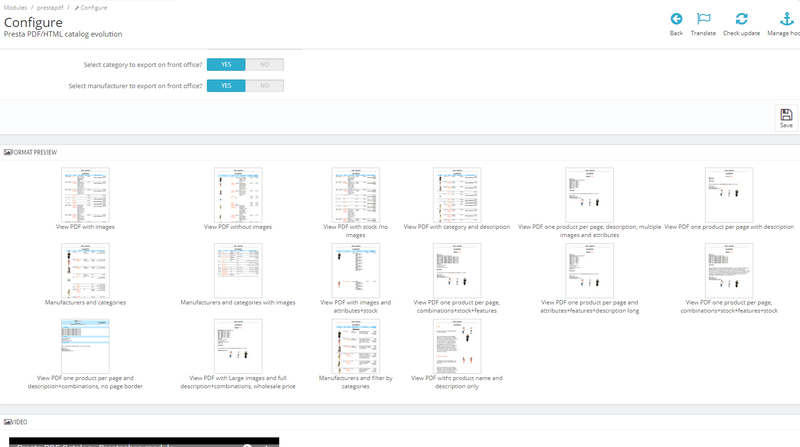 Export your product catalog in PDF or HTML format, with 19 different document formats, configurable from the administrator (Export the list with images, special offers, attributes and combinations of products, etc.). 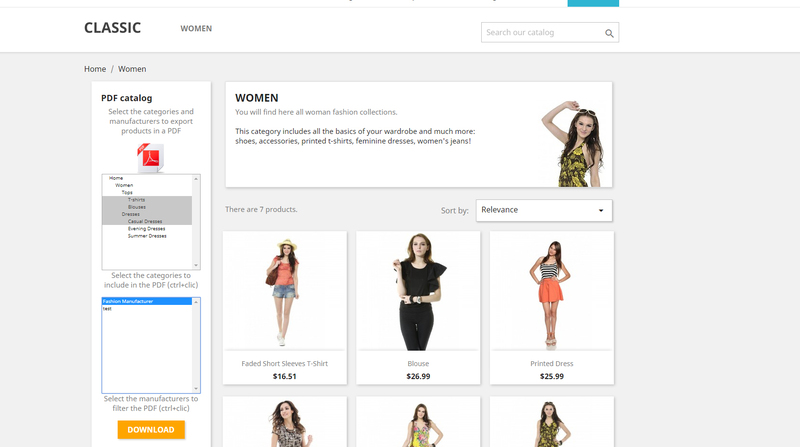 Allows discounts by country, group of users, currency, etc. 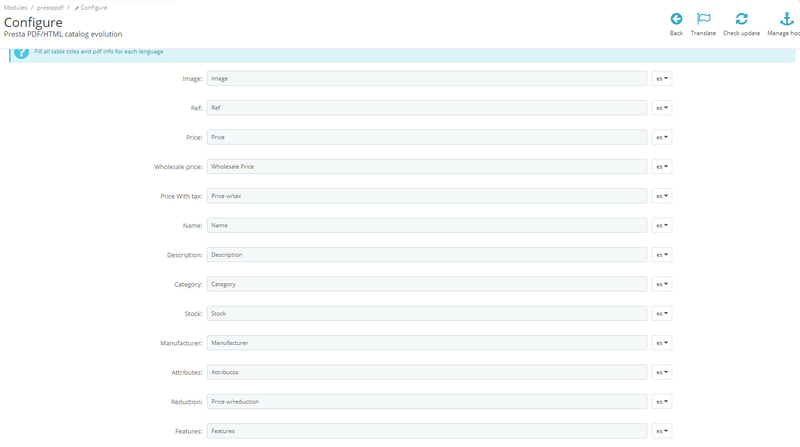 The module allows you to translate each catalog field title (such as categories, stock, manufacturer, etc.). 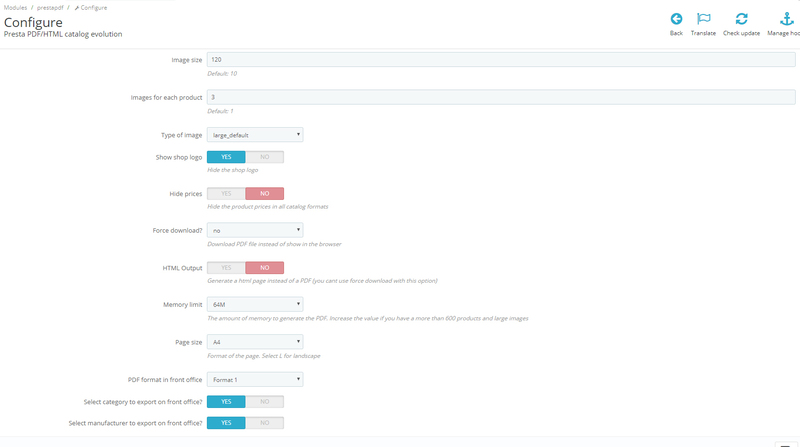 You can configure the number of products, filter by categories and manufacturers, configure the number of images per product, colors, document size, etc. Each format of the module has different characteristics, and it can also modify the colors, change the format from sheet to horizontal, A4 or Legal. If your catalog is very large, do not worry, PrestaPDF comes with an option to generate the catalog in a scheduled task and create the PDF file automatically. 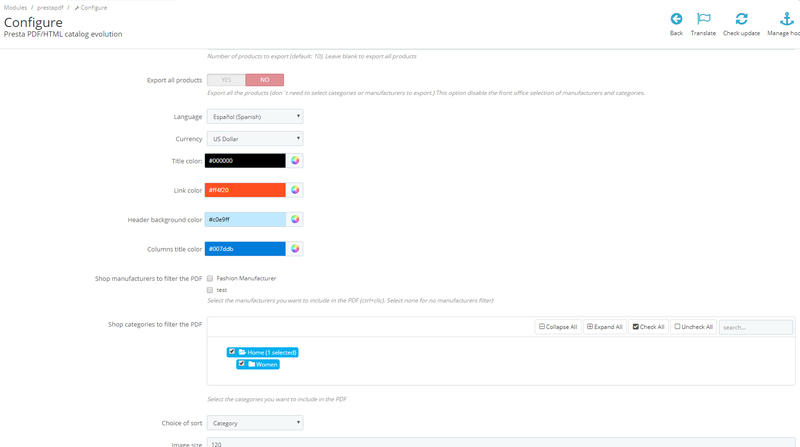 You also have the option to show a block in the store, where you can select the categories to export and filter by the manufacturers, and generate the PDF at the moment. Accept characters such as Chinese, Polish , etc., so it can be used for any language, and the module is automatically configured with the language and currency of its clients. You can edit the templates with any editor to adapt them to your liking .